"So I'll grab the wipes and meet you there -deal?!" my Mom said excitedly, practically losing her breath as she strategized what we could potentially score at one of the largest kid consignment sales of the year. 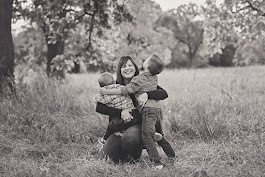 "Deal - I'll see you then," I replied, half-listening, half-strategizing a response to the ever-growing inbox that seemed to eat away at my soul knowing maternity leave was around the corner. I was also loving the idea of donating wipes and diapers to get your shop on early was a great idea and felt a bit more honest than the first time expectant Mom gig I was trying to pull to get in early. Guilt erased. More than an hour later I see her near the entrance next to a pile of frantic grandmothers, wipes in hand, already thumbing through the play list of how to be successful inside. As we divided and conquered, I immediately nabbed the most spot-free Arms Reach Co-Sleeper, sporting a price tag of only $45 from it's original $200+price. 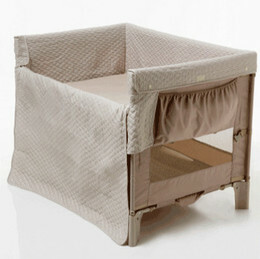 Perfect to have at Nana's or replace the ginormous pack n'play that was already assembled near our bed. Though we aren't quite the co-sleeping type, it also serves as a cozy little nest when the wee one comes home. 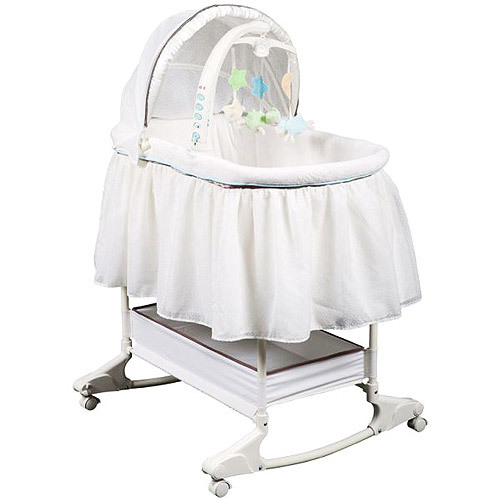 Second, I spied a bassinet that closely resembled one leant to us when L first came home, helpful to have in the family room to avoid romping dog legs and a resting spot when that meal needed preparation and the swing just won't do. Plus the thing had vibrations and lights - score! An hour in I took a break, praying the rickety plastic lawn chair beneath me wouldn't shatter with my growing weight as I watched YouTube videos of how to assemble some of this stuff while Mom waited in line. Spotting two of my best friends, we gabbed excitedly and they too were off to unearth their finds. Two hours later we left with the large ticket items in hand, a few adorable could-never-afford-them-but-can-in-consigment outfits later and unique toys, and we were off, surviving the winding cashier line and dreaming of the calzone we were about to stuff ourselves with. Wait - maybe that was just me. Regardless, the night was a success, and there weren't even any all out brawls over a BOB or anything. So I wanna Rhea Lana again next year and recommend you do too!